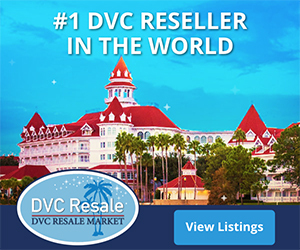 For just the second time in its 18 year history (the first time was in 1996), Disney Vacation Club has taken steps to reallocate the points charts for existing DVC resorts. To help address a growing Member interest in weekend stays at Disney Vacation Club Resorts, Disney Vacation Club has adjusted 2010 Vacation Points charts, reducing Vacation Point requirements for Friday and Saturday nights. To make this change possible, Vacation Point requirements for some instances of Sunday-Thursday stays are now higher. However, a full week’s stay will essentially cost the same amount of Vacation Points as before. 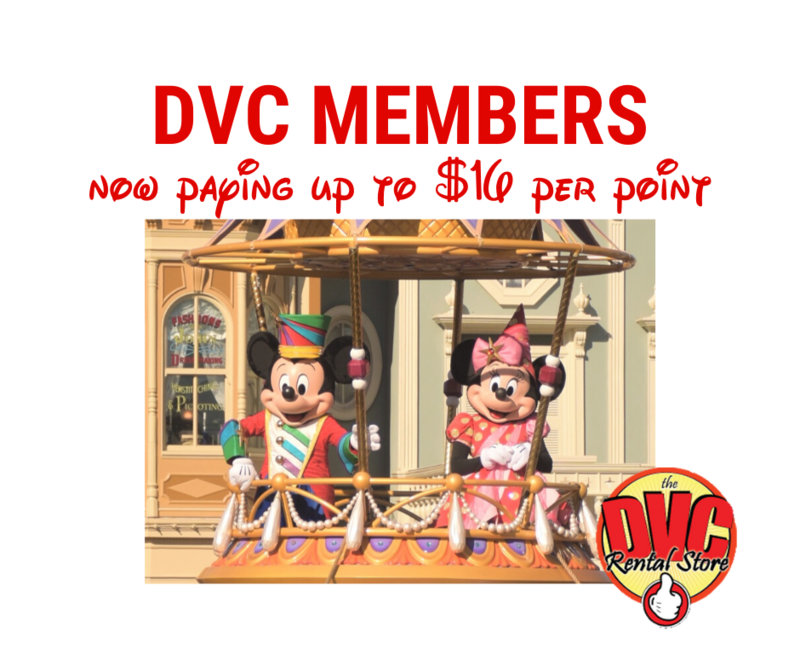 On January 20, 2010, DVC once again modified the 2011 point charts to further increase the cost of weekday stays while lowering weekend costs. Note: DVC can make adjustments to the point chart for a resort to better reflect supply and demand. Reallocation is the process of raising the point requirements for a specific resort / room size / view / season / day of the week, while lowering the points for another room size / view / season / day of the week at the same resort. The key to reallocation is that the total points for the year in a single resort is a fixed number and cannot change. The new Online Check-In Service, announced previously in Disney Files Magazine and here on this Web site, is available now, enabling you to simplify your arrival by going online and providing information related to your upcoming stay. This service is available at select Walt Disney World® Resort hotels and Disney Vacation Club Resorts in operation as of February 2009, plus Kidani Village at Disney’s Animal Kingdom Villas and Bay Lake Tower at Disney’s Contemporary Resort. At this time, this service is not planned to be available at The Villas at Disney’s Grand Californian Hotel® & Spa at the Disneyland® Resort in California. Disney Vacation Club Members can participate in Online Check-In Service through a link when you access your reservation information at www.dvcmember.com. You may begin accessing Online Check-In Service 10 days prior to your scheduled arrival date. You will be able to review your reservation, add room requests and enter information about special occasions you are celebrating during your visit. Upon arrival, Key to the World cards and other registration materials will be waiting for you at a special welcome location where Cast Members will be available to provide additional information and answer questions. Please note that this service does not guarantee Guest rooms will be ready upon arrival at the resort. Rooms will continue to be available at standard check-in time of 4 p.m.
With construction of The Villas at Disney’s Grand Californian Hotel® & Spa on schedule for a late 2009 opening at the Disneyland® Resort in Anaheim, sales have officially begun for this West Coast Disney Vacation Club Resort. Beyond the new vacation homes, the 2.5-acre expansion project on the iconic hotel’s south side is scheduled to include 200 new traditional hotel rooms, a new pool, about 300 underground valet parking spaces and more. The late Peter Dominick, architect for Disney’s Grand Californian Hotel® & Spa, as well as Disney’s Wilderness Lodge and Disney’s Animal Kingdom Lodge at the Walt Disney World® Resort, designed the ambitious expansion, calling on the same California Arts & Crafts architectural styles that define the original hotel. 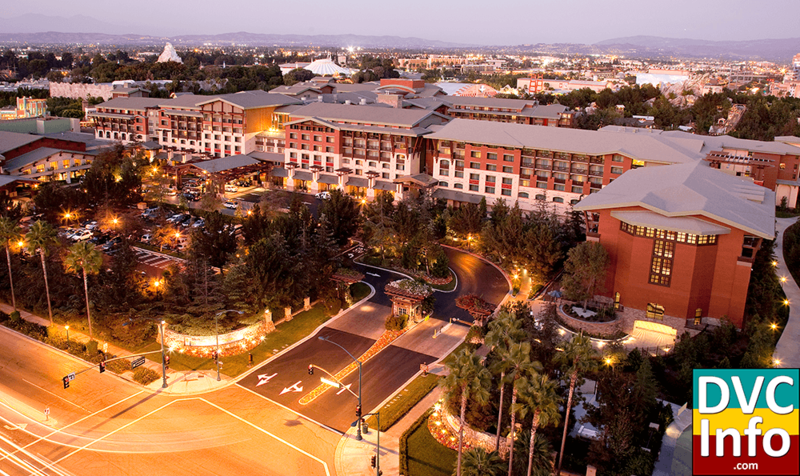 Disney’s Grand Californian Hotel® & Spa currently features 745 Guest rooms, including 44 suites. Upon completion of the expansion project, the hotel will feature 945 Guest rooms, including 44 Guest suites and 50 Disney Vacation Club two-bedroom equivalent villas. Disney purchases land at Maryland’s National Harbor for a possible resort. NATIONAL HARBOR, MD (May 19, 2009) – The Peterson Companies announced today the sale of land at its National Harbor development near Washington, DC to Walt Disney Parks and Resorts. Disney is considering using the 15-acre site overlooking the Potomac River in National Harbor, MD as the location for a resort hotel for families and others visiting the National Capital Region. 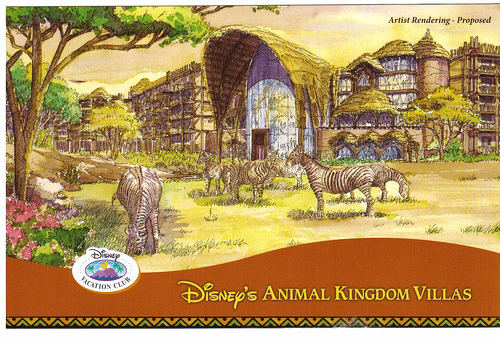 The new resort hotel would be one of Disney’s stand-alone resort hotels separate from the Disney theme parks. This new resort hotel, like the project under construction in Hawaii, will be in a prime geographic location and will provide guests with the same comfort, fun and amenities for which Disney is famous. Disneyland Resort today unveiled a stunning new addition to its Disney’s Grand Californian Hotel & Spa, including 203 new guest rooms and 50 two-bedroom equivalent Disney Vacation Club villas, the first Disney Vacation Club property on the West Coast. Disney’s Grand Californian Hotel & Spa immerses guests in the magic of the Disneyland Resort by capturing the spirit of early California through design and architecture. Many of the new vacation villas offer guests spectacular views into Disney’s California Adventure Park. The 2.5-acre addition to Disney’s Grand Californian Hotel & Spa, which increases accommodations by more than 30 percent, is part of ongoing resort expansion work. Currently underway is a multiyear expansion of Disney’s California Adventure Park, which will add new attractions, entertainment experiences and an entirely new 12-acre Cars Land. In addition, the resort’s historic Disneyland Hotel also began a major three-year renovation last month. The Villas at Disney’s Grand Californian Hotel & Spa mark the 10th property for Disney Vacation Club, Disney’s innovative vacation-ownership program. As with all Disney Vacation Club properties, guests are able to experience the comforts of home, such as a fully equipped kitchen, living area, dining area, washer and dryer, whirlpool tub and other amenities, depending on the size of the accommodations. Guests can choose from four different room categories including a studio (sleeps 4), one-bedroom villa (sleeps up to 5), two-bedroom villa (sleeps up to 9) and the three-bedroom, two-story Grand Villa (sleeps up to 12). Disney Vacation Club, the Walt Disney Co.’s rapidly growing time-share division, opened its first property on the west coast last week, when the resort formally threw open the doors of the 50-unit Villas at Disney’s Grand Californian Hotel & Spa. The Villas was built as part of an expansion that added another 203 rooms to the Disneyland hotel in Anaheim, Calif., in part to make Vacation Club more enticing to a wider geographic pool of potential time-share buyers. Disney says about 86 percent of Vacation Club’s 400,000-plus members (a family of four who buys into DVC is counted as four members) live east of the Mississippi River. Disney is banking on the 830-room resort it is building in Hawaii — in which 480 of the rooms will be time-share units — to give Vacation Club a similar boost. The Hawaiian resort is scheduled to open in 2011.